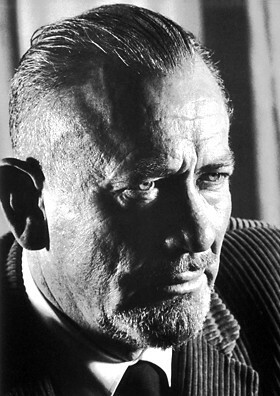 John Ernst Steinbeck Jr. (; February 27, 1902 – December 20, 1968) was an American author. He won the 1962 Nobel Prize in Literature "for his realistic and imaginative writings, combining as they do sympathetic humour and keen social perception." He has been called "a giant of American letters," and many of his works are considered classics of Western literature. During his writing career, he authored 27 books, including 16 novels, six non-fiction books, and two collections of short stories. He is widely known for the comic novels ''Tortilla Flat'' (1935) and ''Cannery Row'' (1945), the multi-generation epic ''East of Eden'' (1952), and the novellas ''Of Mice and Men'' (1937) and ''The Red Pony'' (1937). The Pulitzer Prize-winning ''The Grapes of Wrath'' (1939) is considered Steinbeck's masterpiece and part of the American literary canon. In the first 75 years after it was published, it sold 14 million copies.